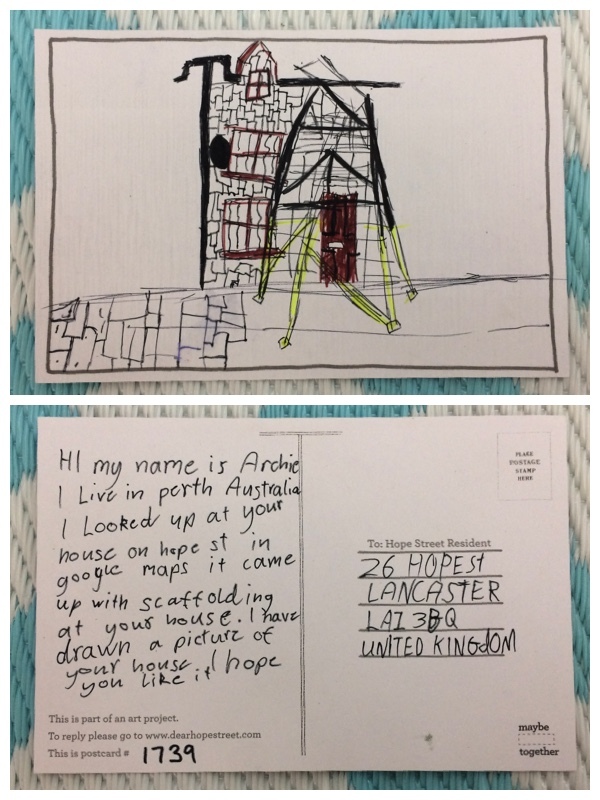 Hello Archie, my name is Raheema and I live on Hope Street with my family. Your post card was a wonderful surprise and brought a smile to all our faces. I love the picture you drew of our house especially the scaffolding it was perfect. I’m so happy it was our house you chose to send a post card too. I wish you all the best on your project and hope you receive replies back. Thank you again for your heart warming surprise, I wish everyone in the world could receive such a thoughtful gift through their letter box.